Another ensemble I wore in Virginia. Wore my candy colored Miu Miu pumps that I had neglected for quite some time. Looking at these photos makes me realize that I need more colored pumps for Fall's basics. Love it! Super cute pumps! You look great. Nice shoe choice! 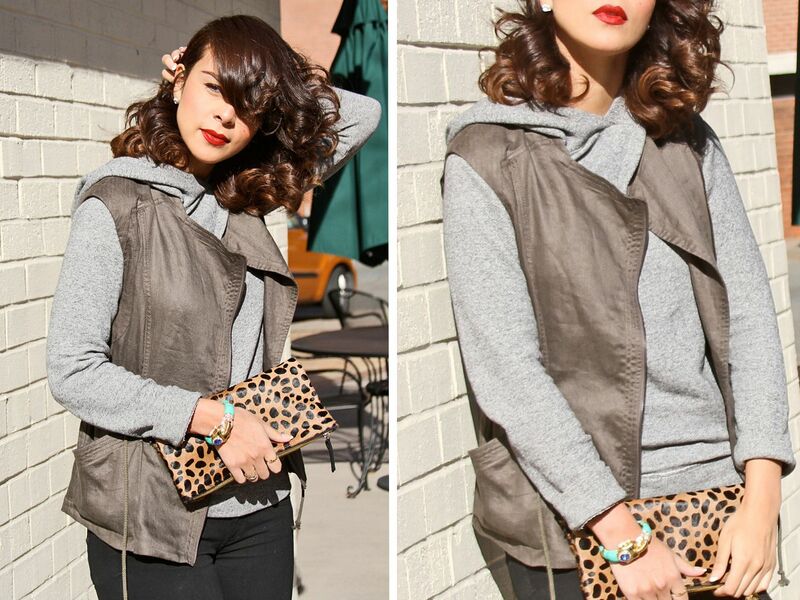 Love the vest over the sweater! & Your hair is always perfect! You're adorable! Love your Choos! SUPER cute!! I love the shoes. The color of those shoes is so gorgeous. They look great against the color palette you are wearing. Looking at your shoes made me realize that I need some more colored shoes for fall myself. LOL I love the outfit and glad you had a great time in my home state of Virginia! Héhé t'as geré le look mi-décontracté, mi-classique, j'adore ! 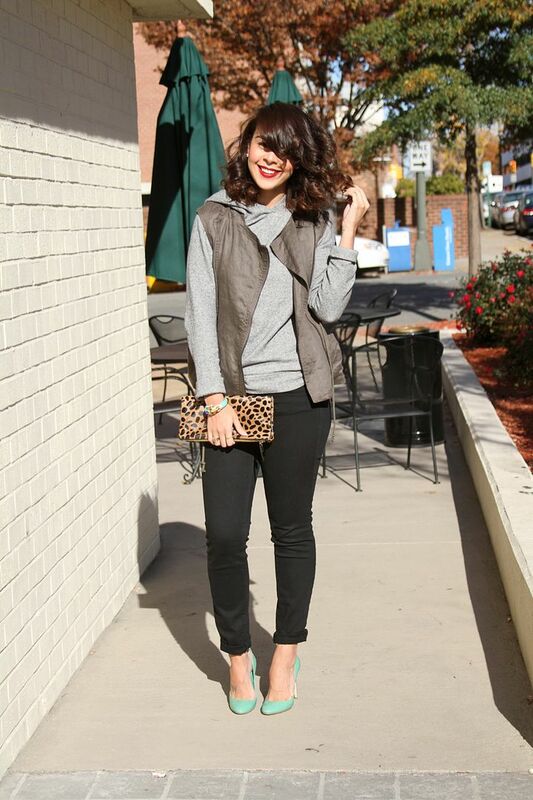 Great casual look, love the pumps!